Corsair is one of the first and largest players in the mechanical keyboards market. Their exclusive deals with Cherry, the most reputable manufacturer of mechanical key switches, allowed Corsair to slightly outpace their competition. For example, Corsair held the exclusive for Cherry MX RGB switches for a year, which made the K70 RGB one of the most popular top-tier gaming keyboards in 2015, and also held the exclusive for Cherry MX Speed switches for a year, making the K70 RGB RAPIDFIRE the only keyboard that had them installed in 2016. One could easily notice that Corsair has been using the same two core keyboard designs, the K70 and the K95, for several years, only changing the switches and/or adding features like on-board memory and programmability. The tenkeyless K65 is also based on the same design as the K70, missing only the keypad and the audio volume wheel, and is only available via Best Buy. Corsair did release new designs, such as the plastic STRAFE in 2015, but never ceased upgrading the K70 and the K95, which still are the main focus of the company. This year Corsair has something a little different in store for us. The name of their new keyboard is the Corsair Gaming K95 RGB Platinum, and features the Cherry MX RGB Speed mechanical switches that the K70 RGB RAPIDFIRE did. 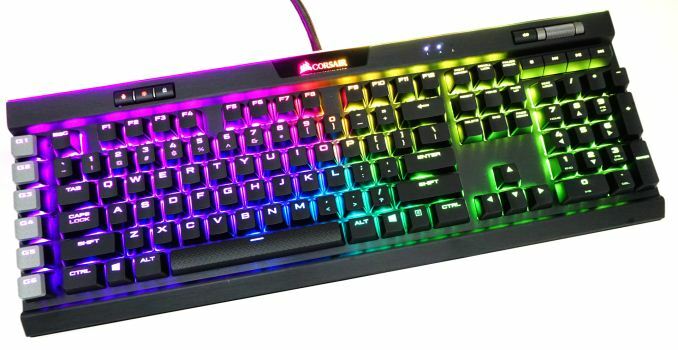 When Corsair first mentioned the name of the keyboard to us, we wrongly assumed that it would be nothing more than the classic K95 with Cherry MX RGB Speed installed. Despite the name, the K95 RGB Platinum is not sharing the same core design as the previous K95 models, but instead seeks to bridge the gap between the classic K70 and the overextended K95. 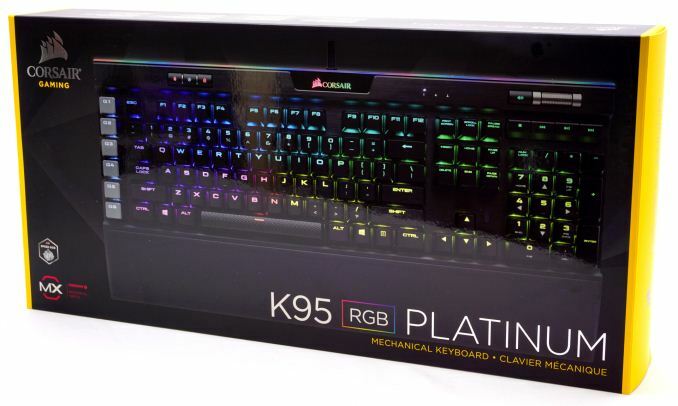 Corsair supplies the K95 RGB Platinum in a very sturdy brown cardboard box covered by a thin, glossy exterior packaging. The artwork is dark with yellow accents and aesthetically focused on a picture of the keyboard itself, following the same theme as the rest of Corsair’s peripherals lineup. Alongside with the keyboard, the company supplies a couple of basic quick-start and warranty leaflets, a set of extra keycaps and a plastic keycaps puller. The extra ten keycaps are grey and have contoured, textured top surfaces that are supposed to assist tactile feedback while gaming. The first set is for FPS gamers and the second for MOBA gamers. Both sets are correspondingly contoured and textured. 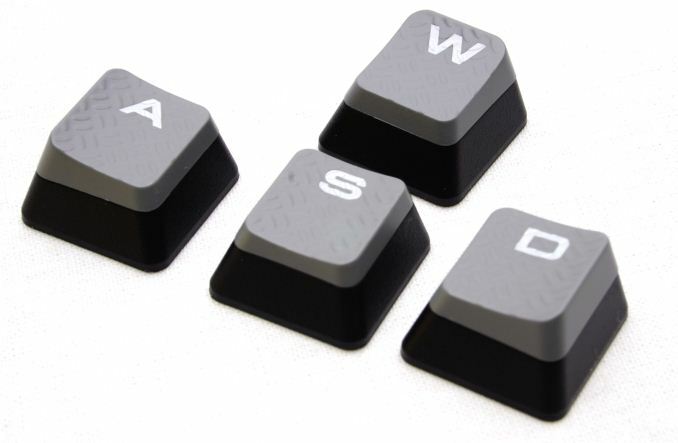 Two keycaps, the W and the D, exist in both sets but have different contours as a result. The K95 RGB Platinum comes with a full size wrist rest that is unlike any other wrist rest that we have seen before. The wrist rest is a plastic frame that attaches to the keyboard, with a removable contact surface. 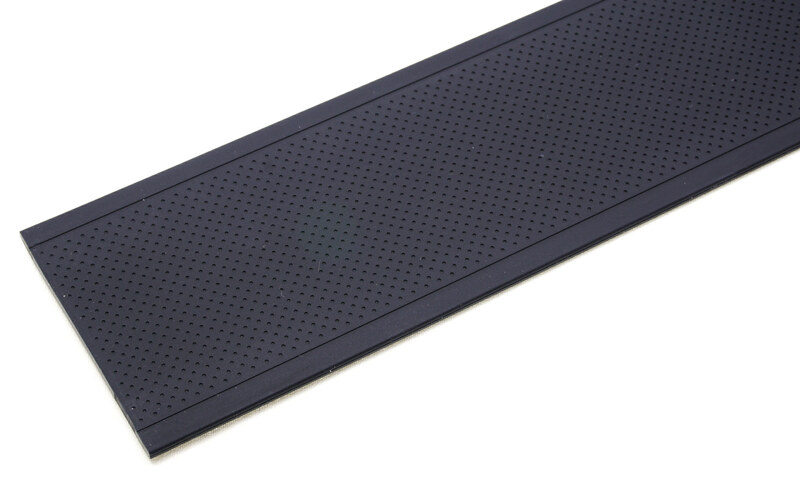 The surface of the wrist rest is made of a thin steel sheet that is fully covered with a soft rubber-like material. Magnets inside the plastic frame allow the steel surface to be easily attached and removed in seconds. Why Corsair made the surface removable is simple, and easy cleaning is not the primary reason. 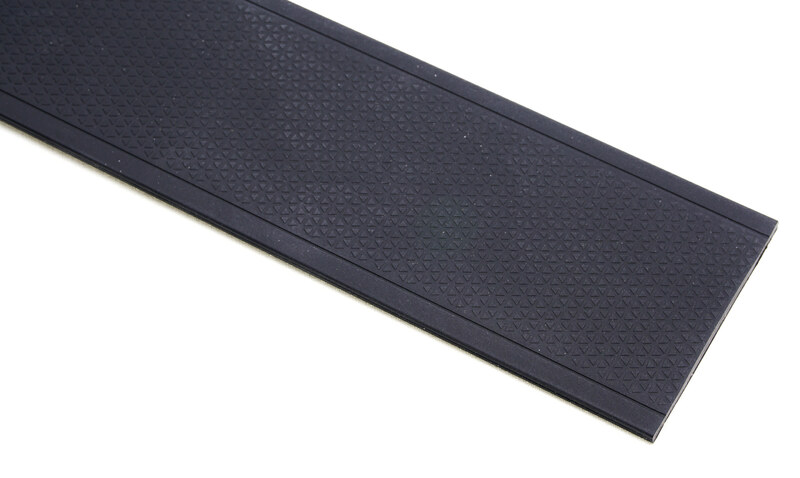 The surface of the wrist rest is two-sided, with one side being plain and very soft, while the other is textured and with good friction. This allows each user to select between grip and comfort, or switch between the two in just a couple of seconds.